Questions about magnolia care range from problems regarding specific plant parts (e.g., problems with the leaves, problems with the buds, etc.) to the need for information on pruning. Some questions aren't readily answerable unless one has access to the landscape in question. For example, although experts can address why you should water trees in fall, they can, at best, only guess about the precise amount of water your particular magnolia tree will need, because conditions dictate water requirements, including your soil type. What is an optimal amount of irrigation in one landscape may be too much or too little water in another. Every case is unique. Q.-- The Flower Buds on My Magnolia Tree Aren't Opening Up. How come? There are a number of possible reasons why magnolia buds fail to open in spring. I provide a few of those reasons in this FAQ. Two of those reasons have to do with weather. Q.-- This Fall, I've Found Some Funny-Looking Bumps on My Magnolia Trees. Is This Some Sort of Disease? The "bumps" in this case turn out to be a false alarm. But it's an understandable mistake for a beginner. View the picture in this FAQ to see what caused one reader to worry; armed with this knowledge, you won't make the same mistake (there's plenty else to worry about without enduring false alarms, right?). Q.-- I Have a Southern Magnolia. Its Leaves Have Turned Yellow. Is It Dying? Southern magnolias are one of the grand trees of the South. When their leaves turn yellow, that may or may not be a sign of a problem. Click the link above to learn more. 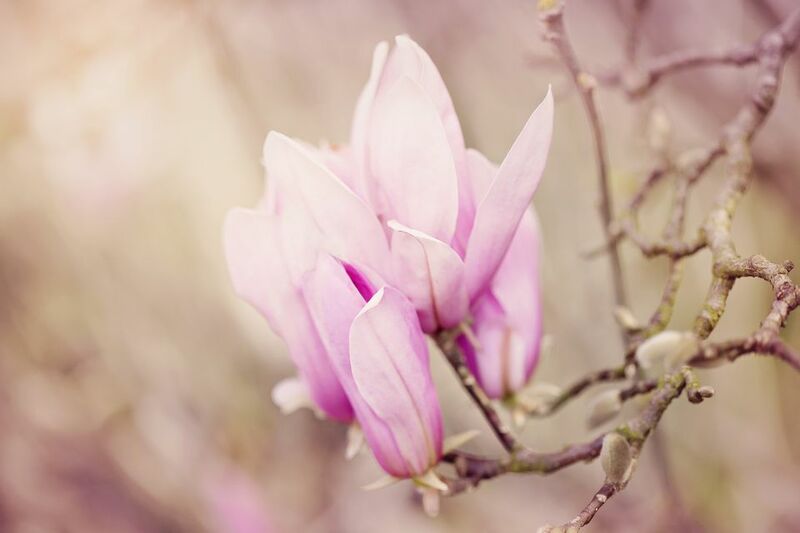 Q.-- When Should You Prune Magnolia Trees? Should you prune a magnolia tree? And, if you are going to prune one, what's the best time to prune? Q.-- I'm Growing a Magnolia Tree in a Container? How Should I Care for It? Q.-- How Do You Control Magnolia Scale? Q.-- There's a Black Coating on My Specimen, and Ants Are Running All Over It. What's Wrong? Don't assume that the ants and the black coating are the sources of the problem. They're actually both effects, not causes; consider their presence a signal for what's really wrong. Q.-- My Magnolia's Leaves Developed Black Spots, Turned Brown and Fell Off. Help! This problem may not be as dire as it sounds. In this FAQ I tell you how to address the issue. I also suggest ways to implement the principle that says, "An ounce of prevention is worth a pound of cure." Q.-- My Tree Now Has Dead Branches on It, After a Harsh Winter. How Much Should I Prune Off? The presence of dead branches is a problem that can usher homeowners into a state of panic. But don't lose hope. Remain calm and apply a little scrutiny, following the steps I provide in this answer. Q.-- The Leaves on My Magnolia Trees Have Turned Brown. Are My Specimens Dead? The appearance of brown leaves out of season is always a troubling sight. Read the FAQ linked to above to learn why context is everything in addressing this problem. Q.-- Would Dropping Coffee Grounds Around My Magnolia Tree Solve a Problem or Create One? Well, that depends. Don't fall into the solution-in-search-of-a-problem syndrome. Coffee grounds could help solve a certain problem, but first find out if you even have it! That problem is the subject of this FAQ. There are, of course, many other types of specimens known for their blossoms that are available for residential landscaping. What's the Cause of Yellow Leaves on a Southern Magnolia?